Ugh. Not super-thrilled with my weigh-in today. It’s been a while since I posted a weigh-in post. The last two Sundays were Christmas and New Year’s and I didn’t blog on those days. Honestly, I think I gained a little bit back over Christmas, but I am not sure exactly how much (I think I was around 302) so I am just going to go off of my last weigh-in. So I may have lost more than what it looks like-but only because I gained first. So, you may be wondering why I am posting this update on a Wednesday. Typically, I update my weight on Sunday, but I have decided to switch to weighing in on Wednesdays for two reasons. I am very excited about the new challenge I am doing. 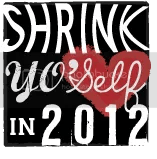 I am joining up with the “Shrink Yo’Self In 2012” challenge over at The Sisterhood of the Shrinking Jeans. The challenge runs from January 1st to Febraury 29th and is a weight-loss and fitness challenge. For the fitness portion you are to do either 20 minutes of vigorous activity 3 times per week or 30 minutes of moderate activity 5 times eachweek. If you’ll remember, my fitness goal for 2012 was to exercise 4-5 times every week, and pretty much all of my exercise is pretty vigorous I would say, with the amount of sweat and heavy breathing I have going on. TMI? Sorry! Our assignment for this week was to write out our list of goals. I kind of forgot when I posted them yesterday that I was supposed to be linking up with the challenge today. So I will just link to it here: My Goals for 2012. My specific goal for the 9 week challenge is to lose 20 pounds. I will continue with my sugar detox for the remainder of the month of January, slowly add back in some fruits and limited complex carbohydrates in February, increase my water intake, track my calories on My Fitness Pal and of course, keep up with my exercise. Twenty pounds in 9 weeks is a BIG goal, especially for me since I haven’t seen a 2 pound loss in one week in a while. And now I am challenging myself to lose more than two pounds a week for 9 weeks straight. I am hoping by tracking everything closely and upping the intensity and getting some serious burn during my work-outs that it will be achievable. What can I say? I’m a dreamer. 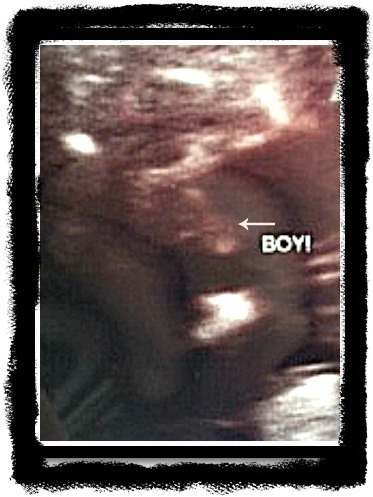 The Chick Magnet rocked his weigh-in this week. At last check, he weighed 228.4. As of this morning, he weighed in at 221.4. He lost a total of 7 pounds in the last 2 1/2 weeks. He has officially soared past the 85-pounds-lost mark, bringing his total weight-loss to a whopping 85.6 pounds. I swear, that man is a machine! And yes, for the record, I am still jealous!!! Want to join the challenge? Head over to The Sisterhood to check out the details. 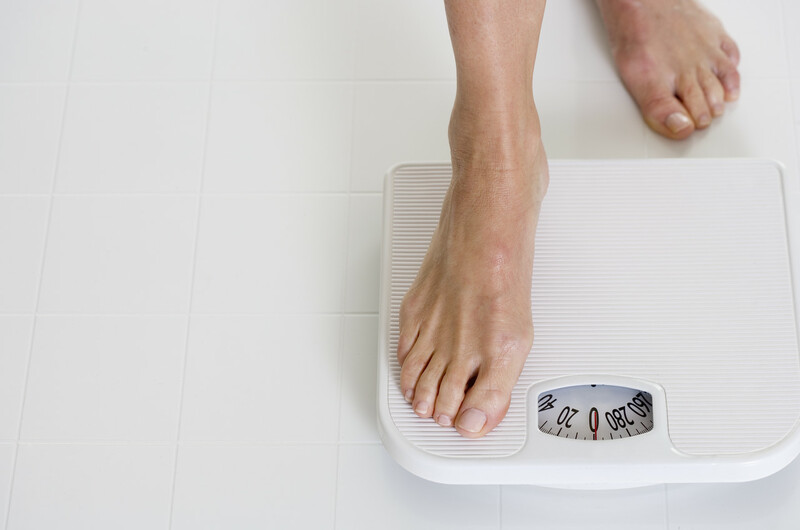 How did your weigh-in go this week? Have you set some new goals for the New Year? Oh my goodness y’all, can you not just hear choirs of angels singing the Hallelujah Chorus? First off, I apologize that I have to start this blog post with an apology! Thank you, once again, for hanging in there with me. I have not had internet service for over a week and I am so sorry for not being able to blog this past week. It was a nightmare trying to get our service provider to take care of the situation. Amazingly enough, as soon as we threatened to switch providers, they hopped to. Imagine that! Now, that that’s out of the way, let me just say YYYYIIIPPPPEEEEEEEEE!!!!!!!!!!!!! I am absolutely ecstatic that I finally hit a HUGE milestone that has been such a long time coming. And yes, I really did cry. This past week’s weigh-in represents several significant goals met on my weight-loss journey. First, I have officially hit 30 pounds lost. It took me a lot longer to do it than I had anticipated, but I m still very pleased with my progress. Truly, I have never stuck with my weight-loss efforts in the past for nearly this long. And I have you to thank for a lot of that. You bring me such encouragement, motivation and inspiration on a daily basis and I am so grateful for all of you who have encouraged me on my journey. Second, for the first time since starting this amazing adventure, the FIRST number of my weight has changed! YEAH BABY!!! I know for most people, a number like that on the scale would be completely devastating, and a whole other reason for crying, but for me it represents a HUGE victory. I am determined to NEVER see a 3 at the beginning of my weight again! Third, I can finally use my treadmill. Way back at the start of this journey, we were gifted a really nice, state-of-the-art, gym quality treadmill. It was such a blessing to us, but unfortunately I have been unable to make use of it because it had a 300-pound weight limit. How sad is that? I am so excited that I have a new tool available to me now that I think will really help sustain my weight-loss efforts, especially during the long winter months when any kind of outdoor activity is limited. I am, after all, allergic to snow. Just ask my kids. I also am very proud of the fact that this milestone came as a result of a 1.5 pound loss in the middle of the hardest time of the year to lose weight. At the beginning of November, I had a goal to simply not gain any weight during the holidays. I didn’t even set my sites on losing because I didn’t want to set myself up for failure and I didn’t want to feel deprived and depressed while attending our multitude of holiday parties. Well, not only was I not deprived or depressed, but over the course of the last two weeks, during which we attended 6 Christmas parties, each with all manner of sweet and savory indulgences, I logged a loss. I couldn’t be more thrilled. To think that just a little over a month ago, I was so upset at my apparent plateau, that I was seriously considering whether the only other course of action would be bariatric surgery, I am just so, so excited and newly motivated by how things have been going lately. Am I eating perfectly? No. Am I working out every single day? No. Have I conquered all of my emotional issues that contribute to why I do the things I do? No way. But what I am doing is making slow and steady progress. I am making consistently better choices and when I slip, I forgive myself and move on. And for me, that’s huge. That’s the difference between giving up completely and persevering. And, baby, I’m going to persevere. The Chick Magnet, of course, rocked the house again this week. He hasn’t had my cooking for over a week so he’s back to his usual ways of shedding pounds like there’s no tomorrow. Last week, he weighed in at 232.6 and this week he was at 228.4 for a loss of 4.2 pounds. Only about a pound and a half before he hits 80 pounds lost! Did you weigh-in this week? How did it go? If you posted about it on your blog, feel free to link up in the comments! If you are like me, December can be an especially crazy month. How do you plan to stay on track in the midst of holiday parties, family get-togethers, carry-ins, and Christmas-time busyness?